In Columbus we enjoy high quality options for beer, mead and distilled spirits. Did you know that many of the businesses producing these beverages offer behind-the-scenes tours? The tours let you meet the makers, see how their products are made, and taste the finished product. Take a look at the tours available for Columbus distilleries, breweries and meaderies! Wolf’s Ridge conducts occasional tours and tastings based in their Hickory Room event space. Tours include a tasting of beers, a look at the brewing process and ingredients involved and a tour of the brewery&apos;s production space. Keep an eye out for available dates here. Watershed offers public tours every Friday at 3 p.m. and every Saturday at 4 p.m., taking guests through the barrel room, distillery and bottling line. Tours are $15 and take roughly an hour, and include a tasting of Watershed&apos;s signature vodkas, gins and bourbons. Learn more and book a tour here. This popular Franklinton outpost, complete with patio, beer garden and Ray Ray’s Hog Pit food truck on site, offers free tours at 3 p.m. every Saturday. Guests are asked to arrive 15-20 minutes ahead of time. More information here. 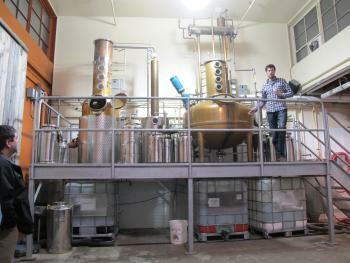 Middle West Spirits’ public tours are offered Friday evenings and Saturday late afternoons/early evenings. Tours take about an hour and are $10 per person. The distillery&apos;s staff will take you through the bottle shop and production facility, and finish with a tasting of their spirits. 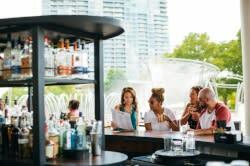 There’s even a special Thursday evening Happy Hour Tour offered at 5 p.m., which includes the tour, tasting and a sample cocktail at their in-house restaurant Service Bar. Reserve your spot here. BrewDog offers a variety of tours of their production facility in Canal Winchester. Tours must be booked at least 24 hours in advance. 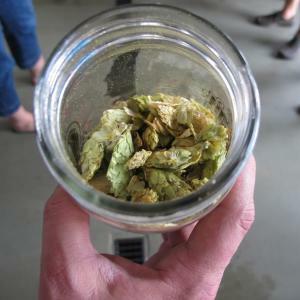 They range from the 30-minute or 60-minute DogWalk Brewery Tours to the 90-minute DogWalk Brewery Tour & Tasting. The 30-minute DogWalk tours are offered Mondays-Saturdays, while the 60-minute ones are offered Monday-Thursday at 6 p.m. The tasting tours are offered at select times on Saturday afternoons and evenings. See the full schedule here. The city’s first meadery offers Saturday tours at 2 p.m. and 4 p.m. Tours are $15 per person, and last about 60-75 minutes. 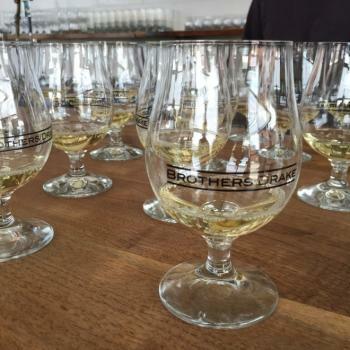 The tour takes guests through Brothers Drake&apos;s tiny facility, and includes tastes of raw Ohio honey, meads in progress and the finished product. Join a tasting tour here! From their production facility in Clintonville, 451 Spirits offers tours every Thursday and Friday at 7 p.m., and every Saturday at 2 p.m. and 4 p.m. Tours must be booked ahead of time and cost $10 per person, with a limit of 15 guests at a time. 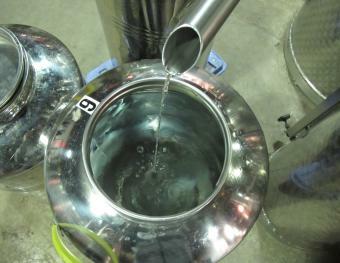 Most tours are led by the distiller, and focus on a full sensory experience of the distilling process, the raw products and the finished spirits. Book your tour here. North High offers occasional tours of their production facility, located roughly a mile east of their Short North taproom. Tours are $20 and include the tour itself, a T-shirt, a pint glass and a pour of beer. See the schedule and reserve tours here. Gahanna’s Noble Cut offers tours most Saturdays (at 1 p.m. and 3 p.m.) and occasional Fridays (at 5 p.m.). Most hour-long tours are led by co-owner and head distiller Tony Guilfoy, and cover the distilling process, the history of the spirits Noble Cut produces and a tasting of their wares. Book a tour at Noble Cut here. 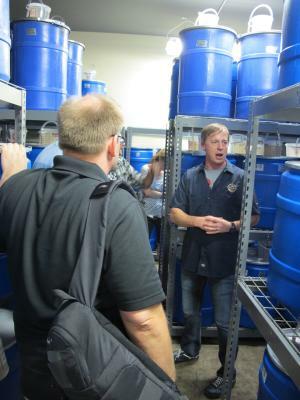 If you want to sample a few different facilities at once, sign up for a tour with Columbus Brew Adventures. The guided tours visit multiple locations and give you a behind-the-scenes look with the makers of local breweries, meaderies and distilleries. View their calendar of events here.